My father got a 2€ 2014 today as change in Algeciras. I told him to keep it for me, hope he doesn't spend it before we meet! My little cousins usually keep their mother's small coins, and today they let me look through several bags full of hundreds of 1, 2 and 5 cents. It was worth it, as I found a 2c 2003. How many did actually go into circulation? How many did actually go into circulation? I'm not an expert but as far as I know, Finland abandoned the 1 and 2 cent coins a couple of years after the coins came into circulation. Finland never used 1 and 2 cent coins in circulation. Here prices are round to the nearest 5 cent when you pay with cash. I think that if I took 1 and 2 cent coins from bank (which is possible), I would get Finnish ones. But indeed, they are rare and I think they haven't been put into circulation either in other countries. I found once a 1 cent coin from a parking lot of a gas station, and spent it in Spain. It seems that Finnish 1 and 2 cent coins are used in circulation somewhere else, because they have been minted so largely. Maybe in Latvia, because I found a shiny 1 cent coin 2005 from a floor of Riga airport in front of a kiosk. It looks like almost unused. Although there would be more of them in circulation, it was nice to find it and bring it back to Finland (until I use it somewhere in the world). I got a €1 coin from San Marino here in Cork, Ireland recently. It is most definitely one of the rarest coins I've found here. The most common ones I see here are Spanish, Italian, French and German. I'm surprised I don't see as many Latvian and Lithuanian coins here considering the sizable amount of Latvians and Lithuanians living in Ireland. There's also direct flights. That's indeed rare! Probably someone has brought it as a "souvenir" and spent it there. Nice! That's what I also often do on my trips, try to use as much Finnish coins as possible there and bring the local ones back home. Don't be surprised about slovenian coins. I think that they are quite rare in the most euro countries. I have found in circulation here in Greece only 3 or 4 times the 50 cents slovenian coin, just once the 20 cents slovenian coin and absolutely nothing of the other coins of Slovenia since 2007, the year of Slovenia's entry in eurozone. 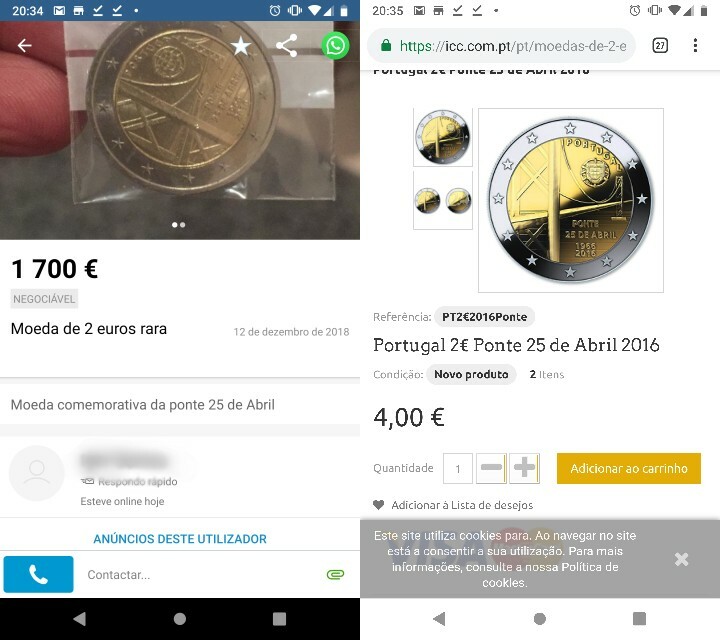 I had to look again when I saw the first price (because I have one) But maybe that one in your picture will stay on it's seller (at that price). Speaking of Slovenian coins I got my first ever Slovenian coin in change outside of Slovenia. I got a 10 cent coin from a ticket machine in a subway station in Madrid.